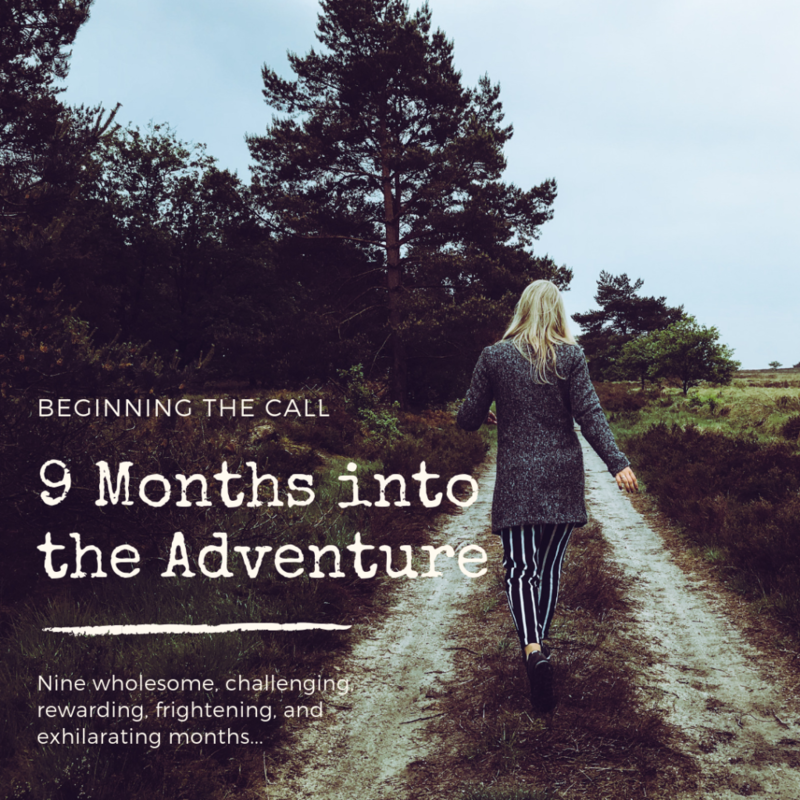 Nine wholesome, challenging, rewarding, frightening, and exhilarating months. The months that have gone by have proven so much to me. They have provided me with great opportunities to bolster my faith in Gd and to open myself up to those around me who truly care: my fellow chaplain spouses. Our chaplaincy is unique. It entails commitment and loyalty not only to our battalion and our soldiers and their families, but our role extends outward to the entire Jewish community and anyone at all who feels at home and wants to join us at the Jewish chapel. Our weekly sabbath services have their ups and downs. There are times when the room is packed with young and old, retirees, active duty service members, and reservists. And then there are weeks when only one young, lone soldier will show up. Whoever it may be, we are always ready. After the Friday evening service, we have a sabbath meal at our home, feeding the hearts and souls of all those who come to join us. Our holiday programs and services, caring for service members who are being treated at the military hospital while away from their families, cooking healthful and nourishing meals for them, and bringing women together to learn about sabbath traditions and customs are just some of the things we have been blessed to be a part of so far. My husband spends his time devoted to his battalion and the Jewish community, as much as he can, any time of day or night, for whoever may need his guidance. Through it all, my emotions have their ups and downs too. Our chaplaincy isn’t the only thing that is unique about our military life. Everything about our lives changed drastically and completely when we moved away from the comfort of our insulated community and joined the ranks of fellow chaplains and their families. We knowingly chose to move away from the comfort of our community, far from any Jewish schools, synagogues, and kosher food. We consciously decided together, as a family, that we could accomplish so much more by being able to support soldiers and their families. And yet, there are times when my heart cries and wonders why. And I question what I have brought myself and my family into. During the hard times and the difficulties, facing challenges and days of loneliness, I wonder. There are days when I feel so present and comfortable. Like I truly belong here. And there are days when my world is more lonely and isolating than I ever thought possible. We have had quite a few hurdles to get through. There have been difficult and hurtful people who have challenged my faith in Gd and in myself. Homeschooling and raising a large family, pregnancy, and miscarriage have slowly and steadily pushed me down this untrodden path. Yet they have given me the chance to dig deeply into myself and find my strength. My intuition. My wisdom. The experiences I have faced so far, large and small, beautiful and dark, have paved the first few steps of this new journey we have set forth on. Through it all, there is one thing that protects me and also propels me. It encourages me and keeps me focused on my goals. It reminds me daily of why I am here, living on an Army post, far away from anything I have ever known and related with. My faith in the One above, the One who directs the steps of man, the One who puts each one of us exactly where we need to be at the precise moment we are there. My faith in Gd has been strengthened by all of my adventures thus far. He has given me the courage to look past the haters, to open myself up to those around me who truly do love and care, and most importantly, He has taught me to look into myself, to see who I truly am. Without the ups and downs, without the challenges that come along with the precious work of being a chaplain spouse, without all the beauty it brings, I would never, not in a million years, have known who I truly am and what I could accomplish. We must take adventures in order to know where we truly belong. I may never understand why we have been challenged and blessed in the ways we have, but I know that for whatever reason, we truly do belong here.